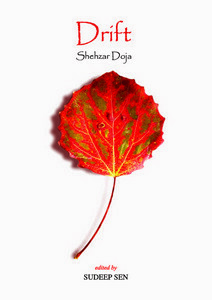 “The beauty in Shehzar Doja’s poetry lies not only in the imagery and the language itself but in the feeling it creates within the reader, a feeling which many a times lingers well after the reading itself. “Shehzar Doja is a master of the understated. His simple evocative language transcends boundaries and transports us to the liminal spaces. It is in these spaces that the alchemy of his words takes root... Indeed, Shehzar has the ability to peel back “layer after layer” to give us a close up look at the mundane, the everyday life, moments that he captures with eloquence, none more so than in the poem, Compos Mentis; “I, smell ...flowers /pretty,/ weary, /tiring,/ exhilarating /footsteps and smell”.